With work coming at the end of the day, I was hopeful that the fish would bite so I could head in content. 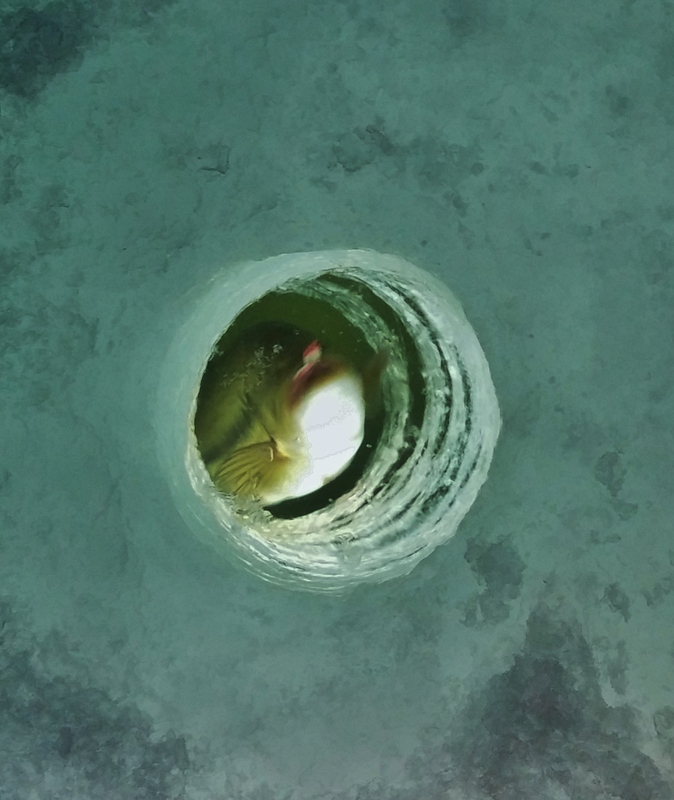 On the ice early enough for a morning bite in the dark, I was surprised that nothing bit other than small perch and a few pumpkinseed. As the sun came up, the fish became more active. Up until about the time that I could sight fish, the bite was steady. They were coming in and not messing around. As the sun came up, I was forced to start moving around to stay on the fish. 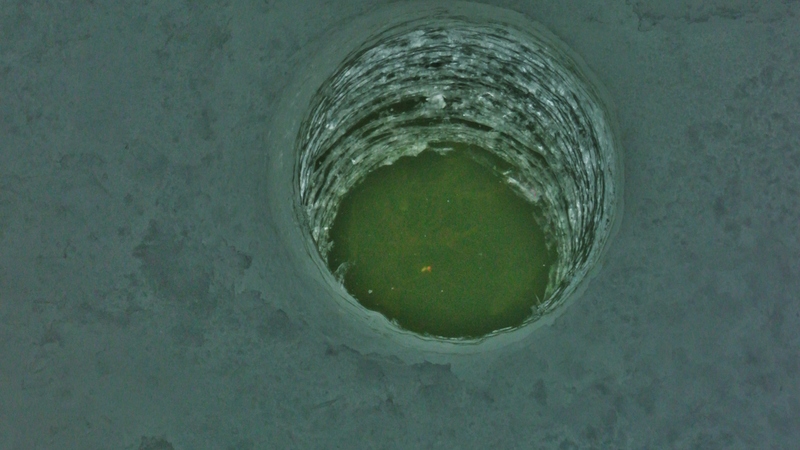 There didn’t seem to be a concentration anywhere but each hole held a few. With as cold as it was, it was tough to stay outside so hole hopping with my shack was the best bet. With a little breeze in the air, I was happy to be warm inside! Throughout the course of the day, I didn’t see a single crappie but the number of bass cruising around was wild. 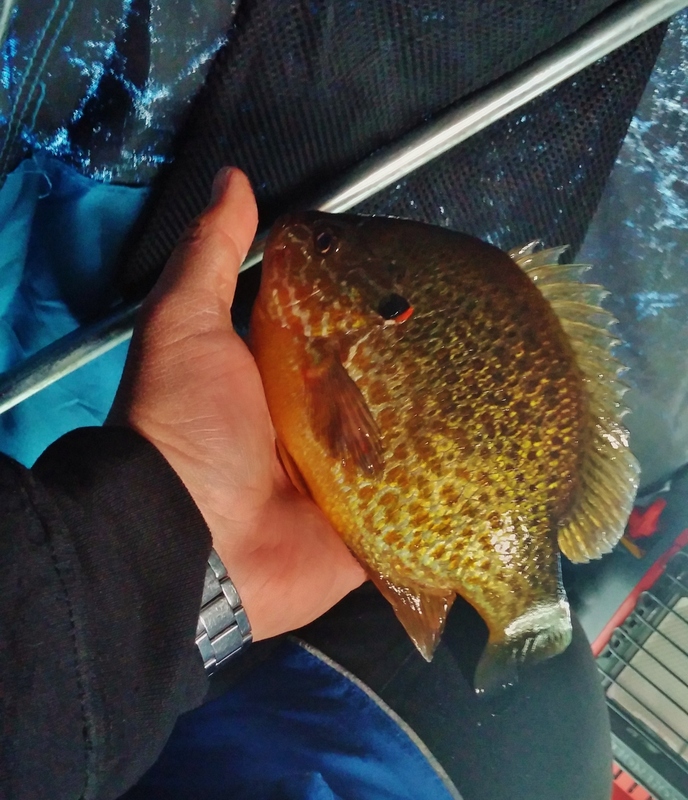 They were everywhere and being able to avoid them was probably the biggest benefit to sight fishing! As the end of the day drew closer and closer for me, the bite started to pick up. The quality of fish also went up. While it was bittersweet to have to leave before dark and as the fish were biting, making money is also a good thing to focus on from time to time!